Albert James Sylvester (1889 – 1989) was raised in Staffordshire by a tenant farmer of modest income. In his late teens he attended evening classes to learn shorthand writing and migrated to London at the age of 21 to work as a freelance stenographer. 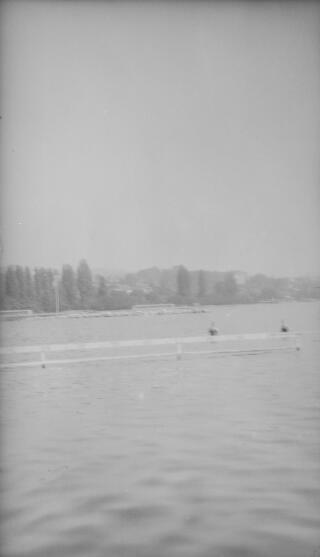 Sylvester launched his career in the political sphere as a shorthand writer in the office of Maurice Hankey. 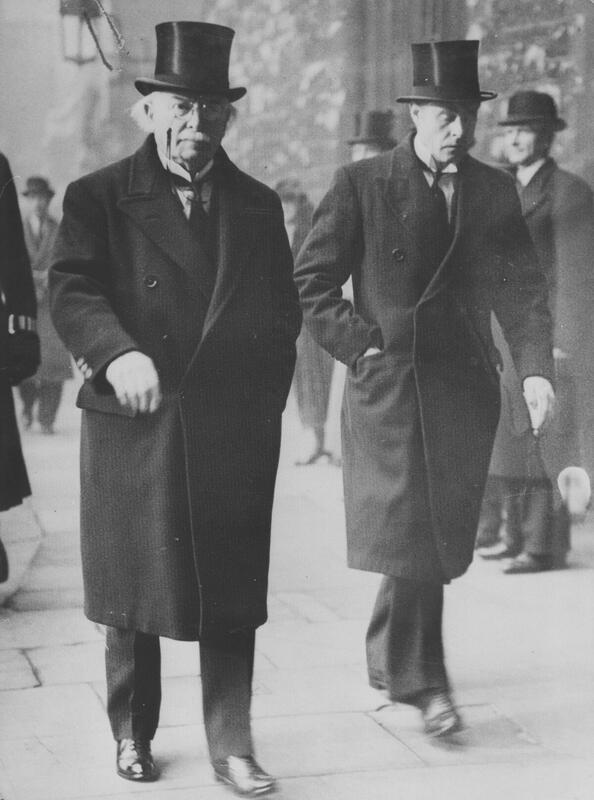 He would later become Hankey’s Private Secretary which led him to take up a similar position with the post-war coalition Prime Minister, David Lloyd George in 1921. 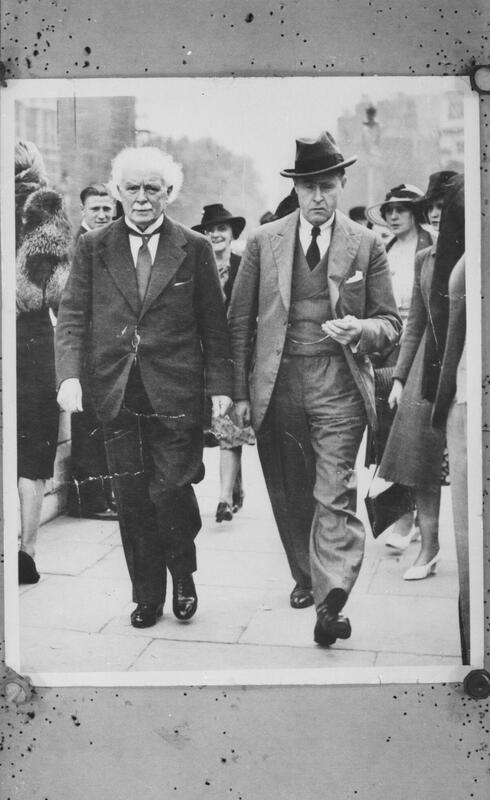 Even though his employer fell from power in 1922, Sylvester would remain his Principal Private Secretary until Lloyd George’s death in 1945. 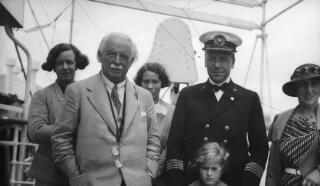 During his post, Sylvester chronicled Lloyd George’s activities and opinions. 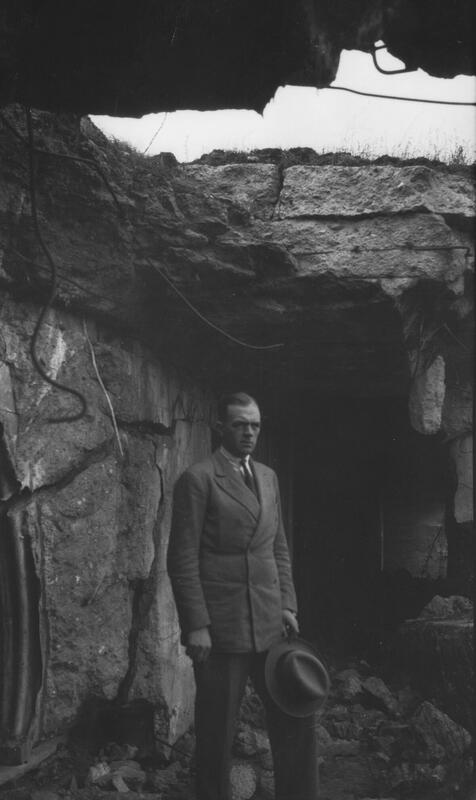 He kept a meticulous diary, mostly in Pitman’s shorthand. In 1947, A J Sylvester published his famous volume entitled The Real Lloyd George, which he based on his own diaries. 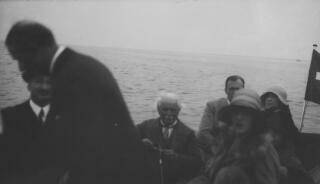 As his Principal Private Secretary, A J Sylvester coordinated many of Lloyd George’s overseas visits and tours of Britain; some of which he photographed. Below is a compiled gallery of his collection. Sylvester documented Lloyd George’s visit to Brazil in December 1927 and his trips to Europe in 1929. 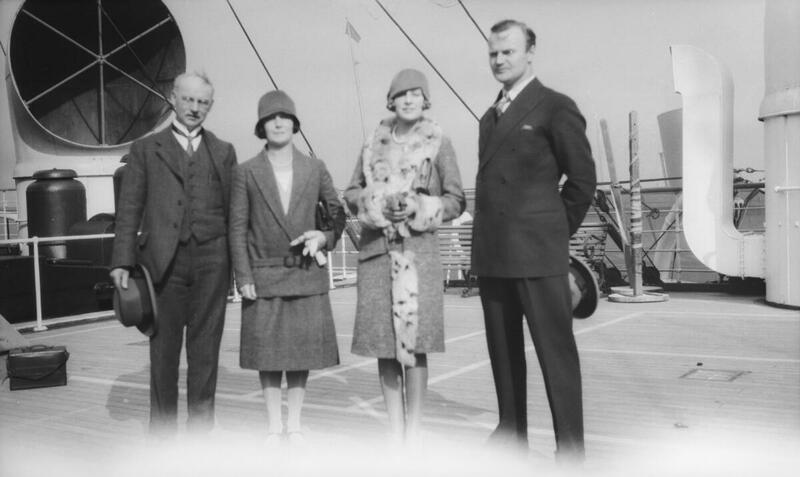 In January of that year he sailed by cruise along the coast from Cannes to Naples and also travelled by motor car through Belgium and France to the Italian Lakes with his wife Margaret and children Megan, Gwilym and his wife Edna. 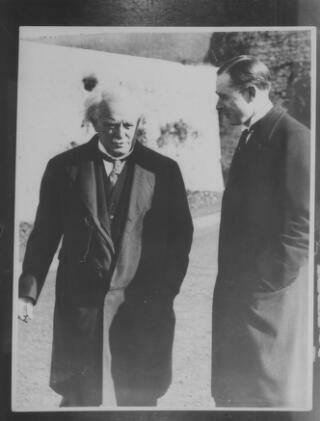 The collection also includes photographs of David Lloyd George’s trip to Morocco in 1936 with Winston Churchill. 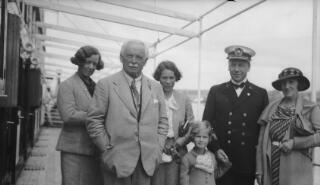 Later stills include Lloyd George at Berchtesgaden, Germany in 1936 and his Secretariats’ visit to Churt in 1941. 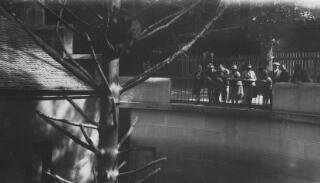 Members of the Lloyd George family leaning over the papapet surrounding the bearpit, Bern Zoo. 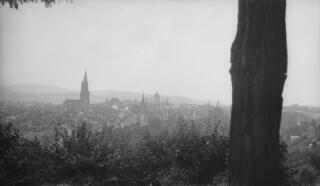 Skyline of Bern showing the domes of the Bundeshaus in the distance and the spire of Bern Cathedral. Gwilym Lloyd George and others on the way to or from inspecting a pillbox. The cars belonging to the entourage are parked on the road in the distance. David Lloyd George (centre) and others leaning against the parapet of the bearpit at Bern Zoo. An out of focus view of an unidentified lake. Gwilym Lloyd george at the entrance to dugout hewn out of the rock. 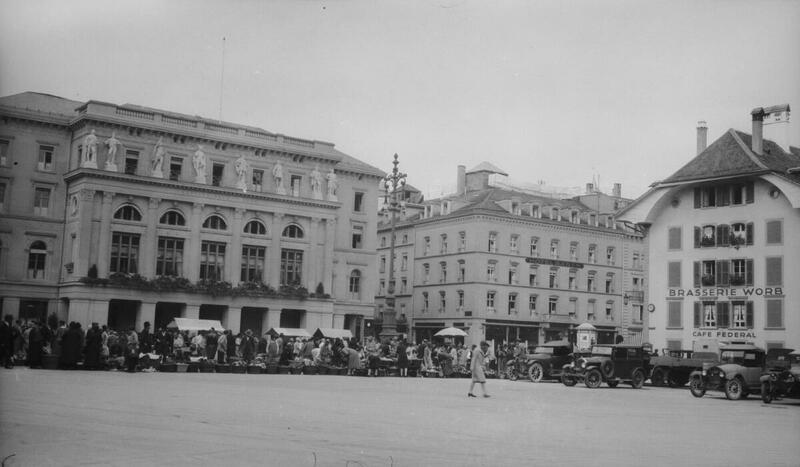 The Barenplatz, Bern showing the Hotel Baren and the Cafe Federal. 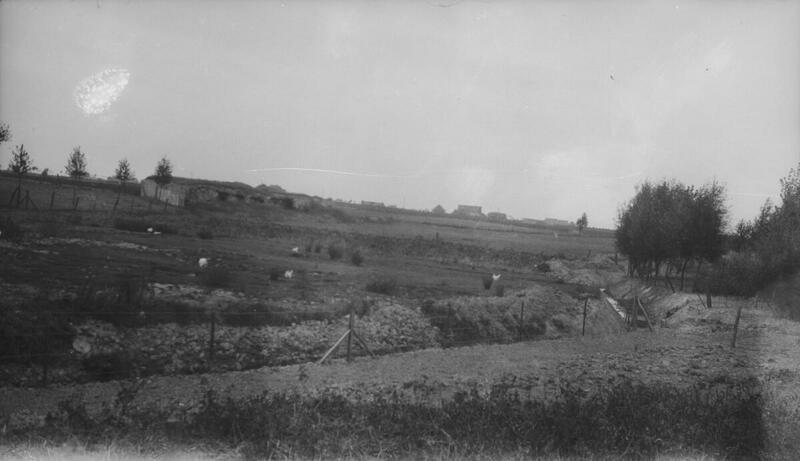 Farmland with concrete fortifications visible in the middle distance. 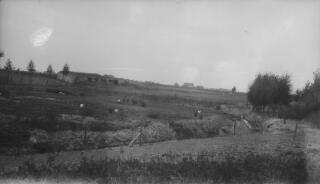 The same pillbox appears in other photos but from closer quarters. 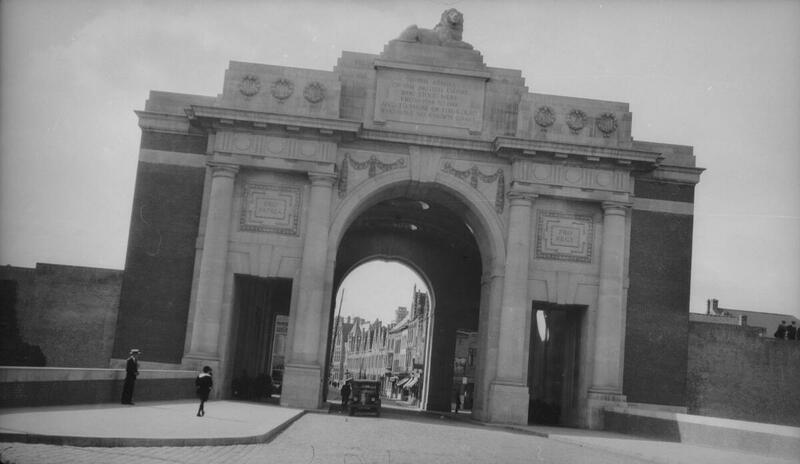 Western entrance of the Menin Gate, Ypres. 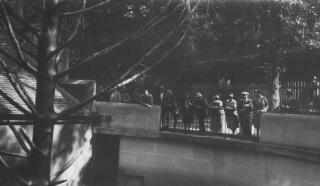 Members of the Lloyd George entourage in a launch. This may be the incident referred to by A J Sylvester on page 185 of 'The Real Lloyd George' - "He was finally induced to take a trip in one of the larger motor craft"
A well-dressd young woman leaning against a handrail on an upper deck of a ship. Identity of sitter not known. 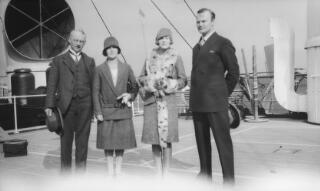 From left to right, a middle aged gent wearing spectales, young lady in fur trimmed coat, A J Sylvester, lady in two piece suit. 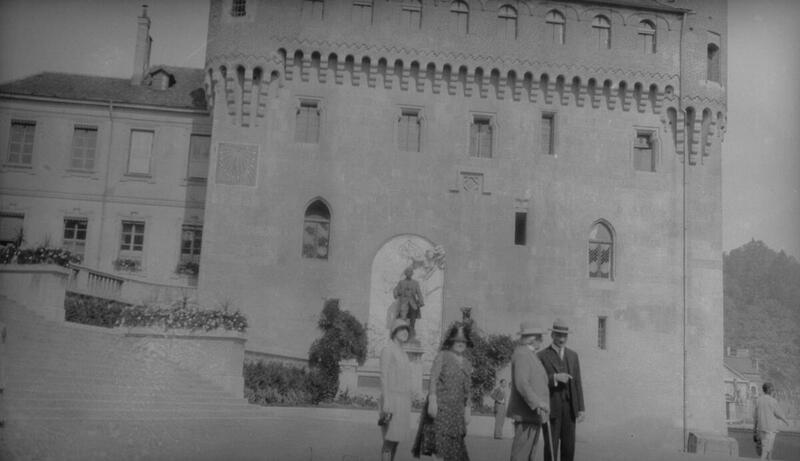 Both women are wearing cloche hats. 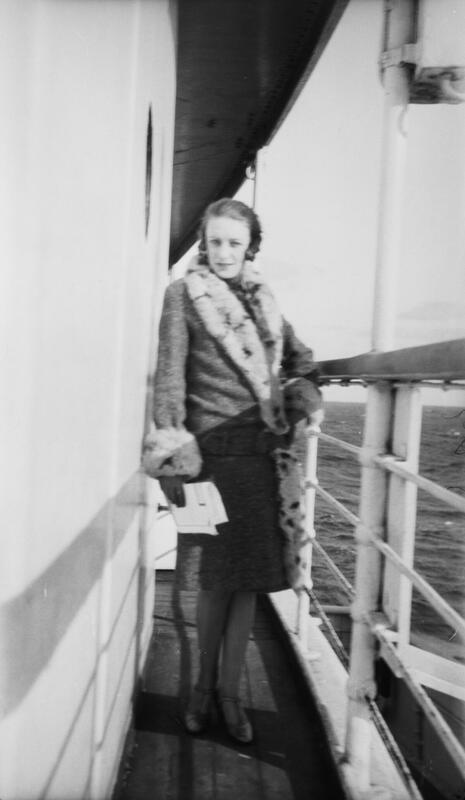 Young lady in a fur trimmed coat photographed aboard a ship. L-R A bespectacled middle aged gent, lady in two piece suit, young lady in fur trimmed coat, gent in dark suit photographed on the deck of a ship. Young lady in fur-trimmed coat aboard a ship. L-R A bespectacled middle aged gent, lady in two piece suit, young lady in fur trimmed coat, gent in dark suit and hat photographed on the deck of a ship.Very similar to PZ7890/4. 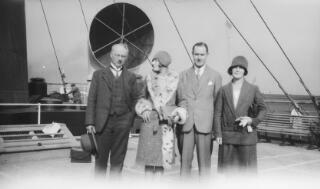 Group photo on the deck of a ship. 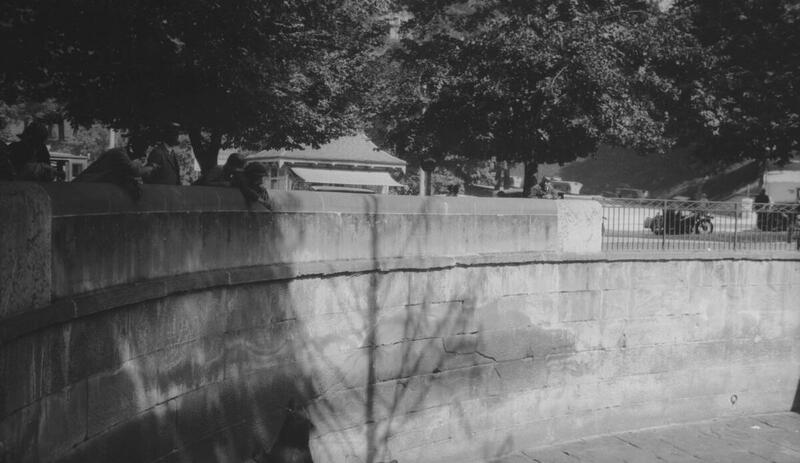 Jennifer appears to be about six years old. 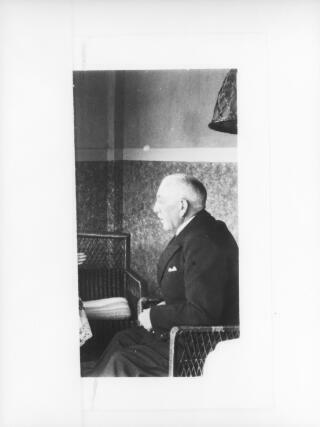 Copy photograph of an elderly man sitting in a wicker chair and photographed in profile. 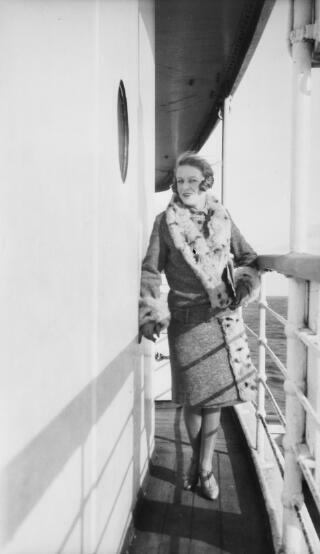 Identity of sitter unknown. Copy of a photograph of AJS and D Ll G walking along a city street, both looking serious. Copy of a photograph of D LlG and AJS walking along a city street. 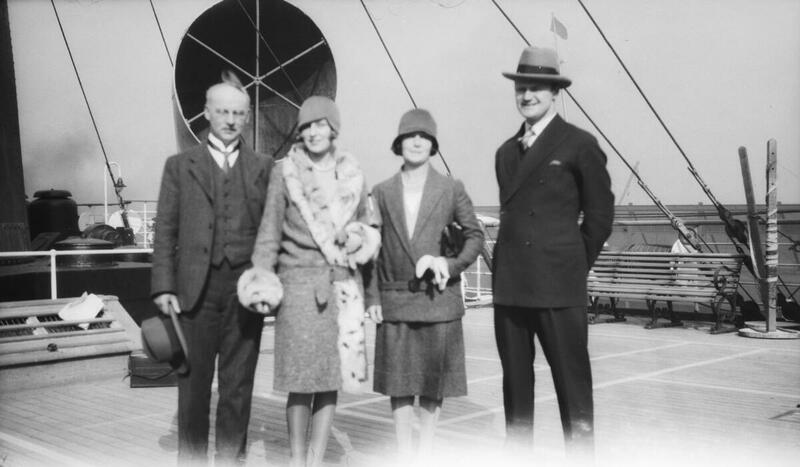 AJS is wearing a hat. Copy photograph of David Lloyd George talking to a young A J Sylvester. 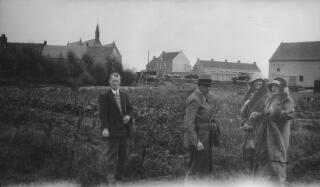 They appear to be in a garden. 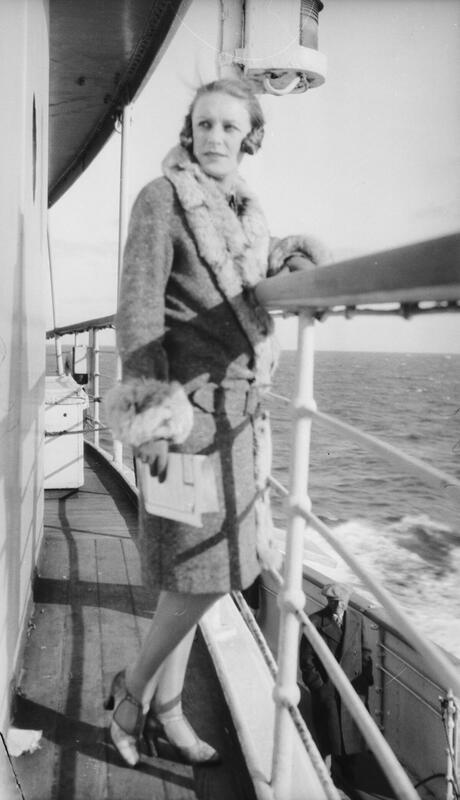 This is a similar view to PZ7890/7 but taken from slightly farther away and Jennifer is holding the captains hand.